TRUMP: Did Obama ever look directly into a solar eclipse? KELLY: No, sir. 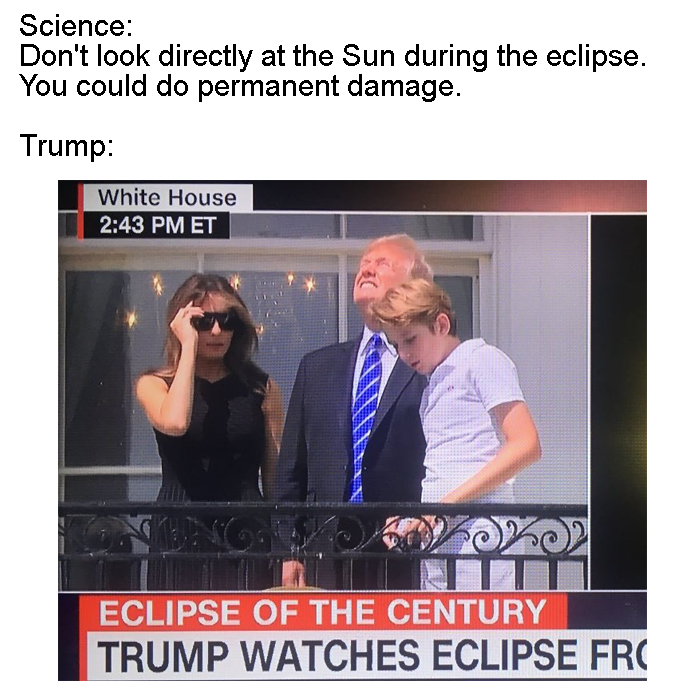 It’s very dangerous to look directly at the sun. 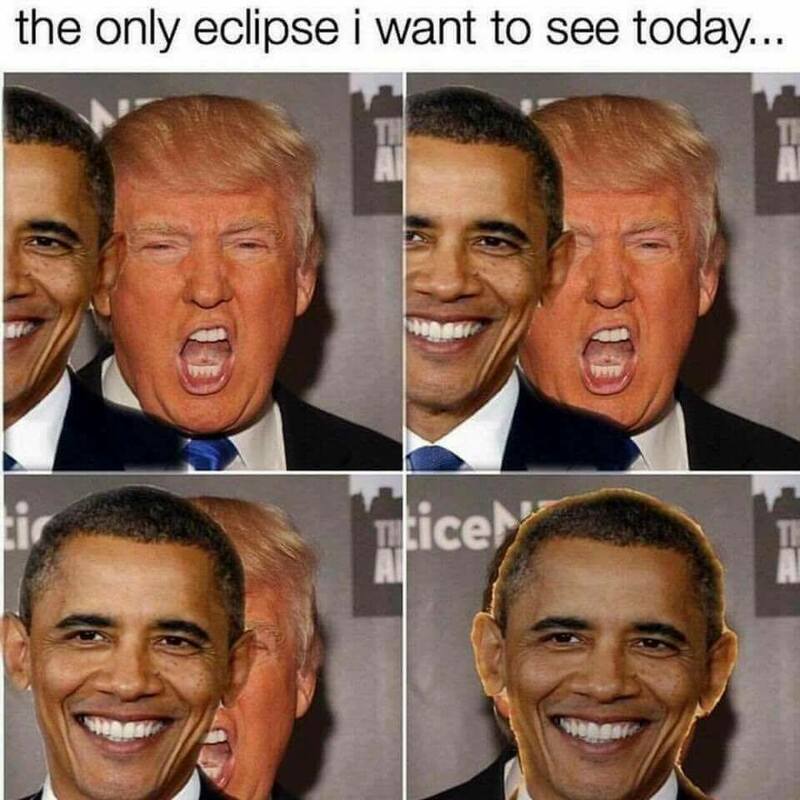 He’s so vain he probably thought the eclipse was about him. If he doesn’t see his shadow, do we get six more weeks of authoritarianism? There were 60million blind before Eclipse. They voted blind. What can you say about a role model prez? We had a smart president, we don’t anymore. Great now he is deaf, dumb and blind lol!!! The constitution says that if the current president is blinded, we get the old one back. I’m pretty sure it says that. I frequently listen to a conservative radio talk station because it’s important to hear the other side. And they give great traffic reports. They were laughing at all the advice to not look at the sun, like how many snowflakes were saying the obvious. How long do you have to be alive to know this. 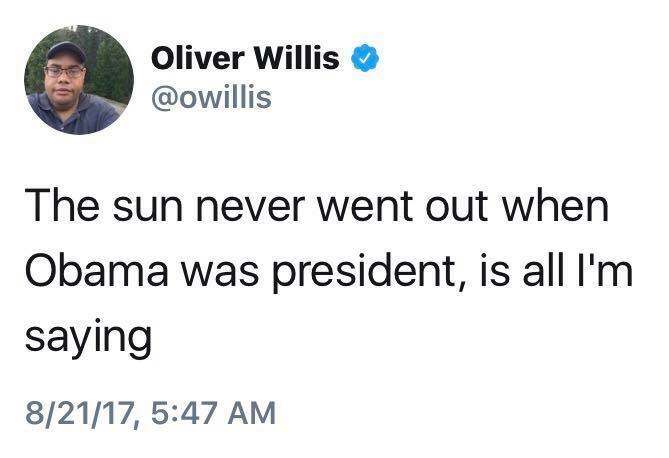 How stupid would anyone be to look at the sun. …. …. …. My daughter directed me to this article. Reminded me to have asthma pump ready. Zingers galore. All accurate by the way. The more I read, the harder I laughed, the more puffs I had to take. Proof that Fatty thinks he’s more important than the sun.